Tommy Thompson was a popular and widely respected governor of Wisconsin in the 1990s. 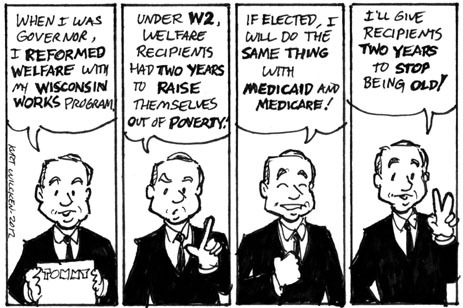 Perhaps his most important achievement as governor was his “Wisconsin Works” program to reform the state’s Welfare system. In 2001, Thompson resigned as governor to join George W. Bush’s cabinet as Secretary of Health and Human Services. After a year in that department he left the Cabinet and remained out of politics for a while.